John Graham. I graduated in 1977. That's about as old as it gets. If you'd like to have me post something to our years blog about anything just ask me. 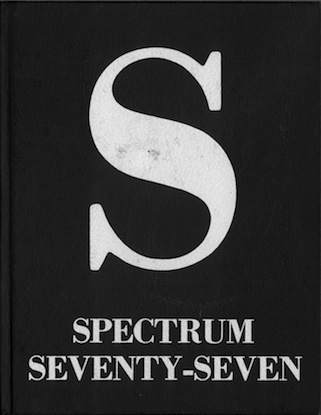 Send me links or pics, updates on Spectrum people from 1977. Who is where, doing what. reunions coming up, gatherings happening. Looking to find someone. Just ask. About 1977. We were the first class of Spectrum to graduate from the new building. In grade 11 I was at Spectrum in its last year at the old Mt View building up on Carey Rd which house Spectrum for 2 years while the new school on Burnside was built. I was never a model student! Ever...lol...Although in the spirit that is Spectrum I was asked in grade 9 while I attended Colquitz to be in a group of students gathered at Mt View in 1973 or 74 to name the school. A picture of this exists on the site. I wanted to name the school Portage Inlet Senior Secondary but this idea was voted down as a name as our schools initials would then have been P.I.S.S. They still let me attend. I live in Victoria returning here 2 years ago after living in Vancouver for 33 years. I have 2 grown daughters whom I love to bits. I own a business www.PromoCrunch.com and manage an artist www.Warren-Stratford.com. I helped to start this whole project along with a lot of other people far more experienced than I. This should be fun!